One of the greatest problems we have in the church is apathy. Many Christians have a greater passion for professional sports, reality television shows, politics, and the release of newest iPhone than they do for God. What a shame! So how do we stem this lukewarm tide? How do we light a fire in the hearts of Christians? I believe this Bible study material may be a great first step in doing just that. 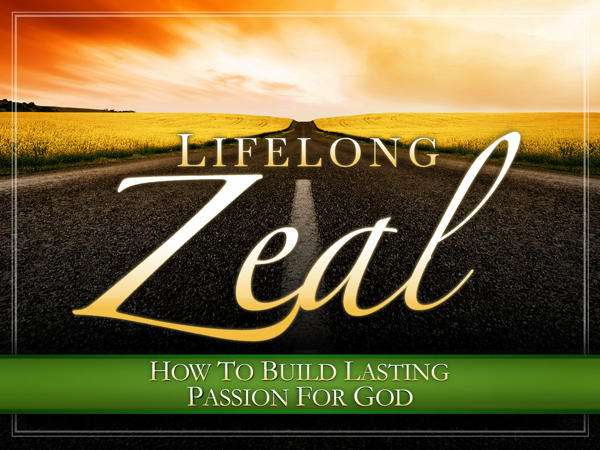 I just finished looking through a Bible study workbook entitled, Lifelong Zeal: How to Build Lasting Passion for God by Phillip Shumake. I’m very excited about what this material might do to help kindle greater enthusiasm within the hearts of Christians. The biggest problem, that I see, with apathetic Christians is that they say things like, “Yeah, I wish I was more passionate about spiritual things, but that’s just not the way I am. I wish I was more like so-and-so, but I guess he was just born with more zeal for spiritual things than I was.” This is nothing more than a lie we tell ourselves. People are not born enthusiastic about spiritual things. Enthusiasm – like a campfire – must be built and fueled. That is the greatest part of Phillip Shumake’s workbook; it helps students understand they can create greater zeal, enthusiasm, and passion in their heart. I do not know that there is only one step-by-step method to building passion for God, but I do believe this is one method. I believe Shumake’s workbook could make a huge difference in your life or in your congregation. So if you’re looking for material for a Bible class, a small group, or even an individual Bible study, then I would highly recommend picking up Lifelong Zeal. Disclosure: I was given a copy of this book to review. The thoughts in this review are mine and I was under no obligation to give a positive review. Also, the Amazon links above are affiliate links. Meaning, if you use the link and purchase a copy of the book, I will receive a very small percentage; at no additional cost to you.